The following article was published in Manila Standard Today in their section Diaspora. As a nation, we pride ourselves as the third largest English-speaking nation, though some will refute this claim. 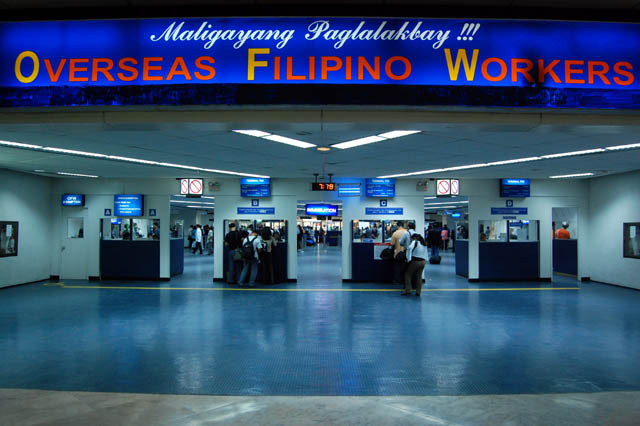 As I tell my American friends, that if they visit the Philippines, they don’t have to worry of not being understood, as most Filipinos speak English. I also tell my friends they will never get lost – if they do, it’s their own fault. 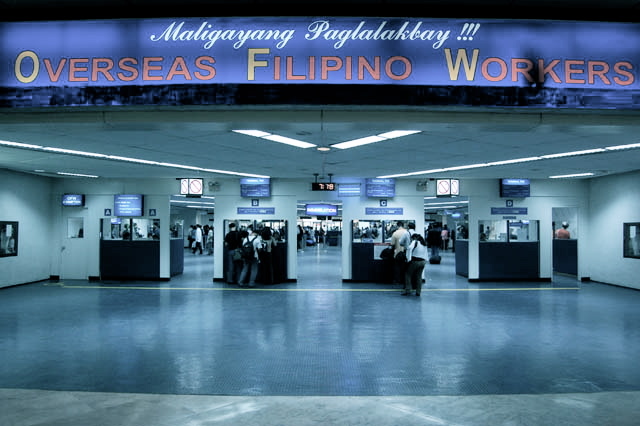 For example, there was this American tourist who asked a local: “How long does it take to Meykabeybi (Macabebe)?” The pinoy replied, with a confused look, “About nine months”.That’s an awfully far place, answered the American more confused than ever. 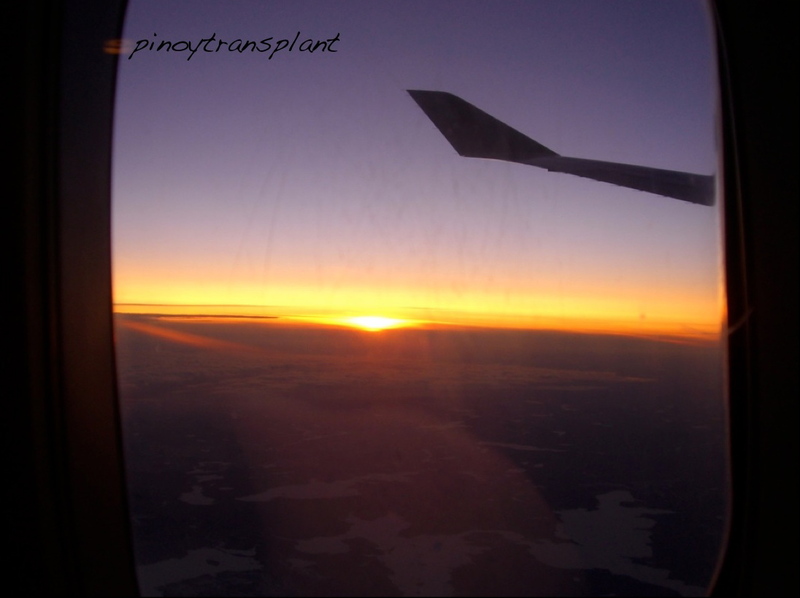 As a Filipino transplant to the US, I thought that I had an advantage over migrants from other countries, as l already know how to speak English, even if English is not our native tongue. I learned very early in life, “A is for epol, B is for banana Q.” But when I got here, I learned that English is perhaps, the language that is most diversely spoken; and English may not always be English, the way I know it. When I started my Medicine Residency Program in New Jersey, I worked with medical graduates from Russia, Romania, Guyana, India, Israel, Greece, Burma, Nigeria, Vietnam, and of course Americans and fellow Filipinos. Can you imagine how differently we spoke the same English, but with different dictions and accents? I felt some of my peers talked funny, but then again, they could have also thought I talked funny with my Carabao English. Sure enough it took us some time to understand each other clearly, but we got along alright – at least we pronounced each other’s names correctly. When I moved to New York to pursue my subspecialty, not only were the resident doctors diverse, but the patient ethnicity became very diverse too. 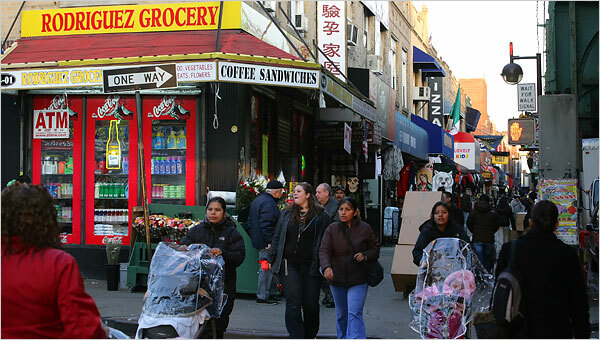 In fact, the zip code 11373, where the hospital where I did my training was located, was even featured in the National Geographic a few years back, as the most ethnically diverse neighborhood in the world. In one of the studies we conducted about tuberculosis in our institution, we have counted more than 70 different nationalities in our study population. Now imagine trying to understand all those different ethnic groups speaking English in their different rendition of it. It took me a while to get used to these differences. And some patients we took care of, don’t even speak English at all! That’s when we resort to gross sign language, if we can’t find an interpreter. (I feel for the veterinarians who have to interpret the arfs and meows of their patients.) Good thing pain and suffering is a universal language that you can read in their faces even without them uttering a word. It is not just the immigrants though, that speak English in different ways. People from different regions of the US have distinctive ways of speaking the language as well, like the British and the Australians. I remember I had an American co-resident, and she hailed from Tennessee. She has a beautiful southern accent, but I have difficulty understanding her, even though I know it is perfect English. She would greet me with “Hey ya’ll!”, and I would look at her with a puzzled look, having no idea what she said. Maybe she thought I don’t speak English, so eventually she just did not talk to me. English also uses so many idiomatic expressions that I did not learn in my English 101 in college, while in the Philippines. One day when I was an intern, I was rounding with my senior resident who was a true-blue American. He instructed me to defer any further treatments on one of our patients, adding that and we’ would just “play it by ear.” Do I do what now with my ear? Perhaps he saw my quizzical look, so he explained it to me in plain English. Then there is the version of street talk and slang. I painfully remember during my first few months in the US. I can carry a conversation when I’m at work, and with the more formal and medical talk. 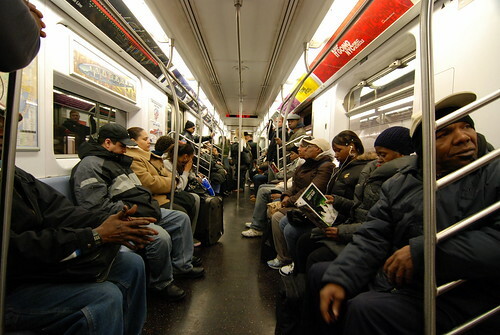 But I struggled to understand and converse with people when I’m in the streets, especially when I’m riding the train and the subway. “Wucha gottem dawg?” Did he just call me dog? It was just a different world of English altogether. But that’s okay; I don’t want to be speaking to strangers in the subway anyway. Now that I’m living in the Midwest, I am finding that while the English here may not be as distinctive as the Southern drawl or the New Yorker accent, it has its peculiarities. If you are keen enough, you can determine the specific region where a person came from based on his English phonology. A friend of mine, who grew up here in Des Moines once drove to Missouri and got lost. He stopped at a gasoline station and asked for direction. The man whom he approached, who was perhaps was a native of Missouri (pronounced ‘Misoora’ by some locals), gave him detailed direction. The only problem was, my friend did not understand a word due to the man’s heavy accent. My friend though courteously smiled and nodded as if he understood the man perfectly. Needless to say, my friend remained lost for much longer. The story of my friend got me thinking: if these two Americans, both born and raised here, with English as their native language, cannot understand each other, how the heck do they expect me to understand them? But I am learning to understand all the diversities of this language day by day. I know my English is not perfect, but whose is? Weather watching and talking about the weather is something new for me. I learned that here in the US. And it’s not that I became a meteorologist, it is for some other reasons. Back in Manila, nobody really paid attention to the weather forecast. I recall that as I was growing up in Manila, I could almost recite the weather prediction by Amado Pineda: ” Mainit at may manaka-manakang pag-ulan” (warm with occasional rain). And this can be true the whole year round, except if there’s a typhoon. The only time I cared about the weather was if the storm signal is raised to 2 or 3, to check if classes would be suspended (though classes can be suspended due to flood too, especially in UST, with the Espana “river” swelling after the rain). With Manila’s monotonous climate with temperature ranging from 60’s to 90’s F (20’s to 30’s C) the whole year through, there’s really nothing to talk about. With our 2 yearly seasons of “hot” and “very hot”, you don’t need any significant change in your apparel. T-shirts and jeans will be appropriate for any season. No need to change to a sweater, or a light jacket, or boots, or a parka. Though I remember some people wearing leather jackets in Manila, just to impress others. The only thing you may need to carry is an umbrella (which I hate to carry) for the occasional rain, but newspapers can be used for the same purpose too. And if you get wet? The heat will dry you quickly. But now that I am living in the US midwest, everything has changed. The temperature can swing from -30’s to +90’s F (-30’s to +30’s C) through the changing seasons. In fact 2 weeks ago, our temperature dropped from low 90’s to high 50’s F in a little more than an hour. That’s more than the range in Manila for the whole year! People say here that if you don’t like the weather, just wait a few minutes…… it will change. That’s why it is necessary to know your weather forecast; it will definitely affect your activities for the day as well as determine what you need to wear. During winter, snow storms and ice storms can develop. It is so cold that even my brain freezes. It could be 2-3 months straight without the temperature rising above freezing point and with temperature hovering just above 0 F (-18 C). It is during these days that I often wonder if hell could be as cold as it is hot, for it surely feels like hell! And if I need to go out, I need to wear my underwear thermals, a sweater, heavy jacket, snow boots, gloves, hat, and muffler. It’s a wonder I still can move around with all these articles of clothing. Snow can be beautiful though, especially if I’m looking at it from inside my heated home, and as long as I don’t have to shovel it nor have to drive through it. During late spring to early summer, temperature can be very comfortable (40’s to 90’s F). But with wild swings of temperature, violent storms can form quickly. If it’s just thunderstorms, well, I can deal with it, as I’m used to that in the Philippines. But tornadoes and hailstorms? Those simply scare the daylights out of me! In a tornado you have only a few seconds warning to seek shelter. That’s why houses here have a basement; that serves as a tornado shelter. Over the years that I lived here in Iowa, there were a few tornado warnings in our community with the sirens going off, but thankfully no tornado has touchdown yet in our area. I hope it never will. Some communities are not that fortunate though, and I saw the devastation after a tornado hit. Nothing is left standing. I’ll take a typhoon any day over a tornado. Last year, there was a town here in Iowa, that experienced a hailstorm with hails as big as baseballs. It damaged the roofs, windows and walls of every house there. It flattened their crops too. You can just imagine being hit with those baseball-size hail traveling at more than 100 miles per hour! I don’t think an umbrella is of any use during a hailstorm. Being appreciative of a beautiful day, is something that I learned also from the American culture. Everybody talks about the weather, and everybody express their appreciation of a beautiful day. I remember years ago when I was still in New Jersey. I just transitioned from the streets of Manila to an idyllic town of Morristown New Jersey. It was summer and I was walking alone at the town plaza. Then a stranger greeted me and exclaimed, “What a beautiful day, isn’t it?” I was taken aback. I have to check if he’s really talking to me. First of all, being raised in Manila, when a stranger greets you, you look at him suspiciously as you check your wallet if it’s still there. And secondly, who talks about the weather in the Philippines! It felt so foreign to me. But now after experiencing the extremes of weather, especially here in Iowa, where a beautiful day comes far in between, I can see clearly now why they appreciate a beautiful day. Perhaps I took for granted all the beautiful tropical days I had in Manila. Sometimes, we don’t treasure simple things until we lose them. I am thankful for today. A beautiful sunny summer day. Tomorrow’s forecast: thunderstorm with tornado watch.